American digital cable and television satellite network, SundanceTV, has acquired Australian-New Zealand drama series ‘Cleverman’ which will premiere in 2016. Set in a near future dystopian landscape, and based on the original concept by Ryan Griffen, ‘Cleverman’ tells the story of a group of non-humans forced to fight for survival in a world where humans feel increasingly inferior and want to silence, exploit and erase them. As an official Australian-New Zealand co-production, Goalpost Pictures and Pukeko Pictures partnered to produce the six-part high-concept genre series for ABC. Wayne Blair, director of the Australian box office hit The Sapphires, also produced by Goalpost Pictures, and the upcoming film Septembers of Shiraz with Adrien Brody and Salma Hayek, is lead director, with acclaimed director/writer/actress/performer Leah Purcell also directing. Weta Workshop were behind creature design and brought to life the shows non-human characters. Picture, visual effects and sound post-production services were completed at Park Road. 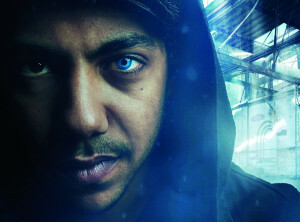 As well as being acquired by SundanceTV, ‘Cleverman’ will also be premiered at the upcoming Berlinale, with two episodes being released for Europes most celebrated film event. The show will be presented as part of the Berlinale Special Series at the Haus der Berliner Festspiele, alongside new shows from heavyweights such as Susanne Bier and Nick Hornby. Red Arrow International is distributing the show worldwide and will have its market launch at MIPCOM in October.